Found 4 file extension associations related to NHL 2002 and 3 file formats developed specifically for use with NHL 2002. NHL 2002 is a video game released by EA Sports on September 17, 2001. It is the predecessor to NHL 2003. 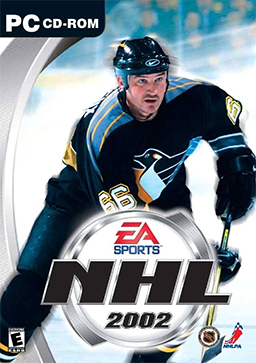 The game's cover man is Pittsburgh Penguins superstar Mario Lemieux. If you need more information please contact the developers of NHL 2002 (EA Sports), or check out their product website.